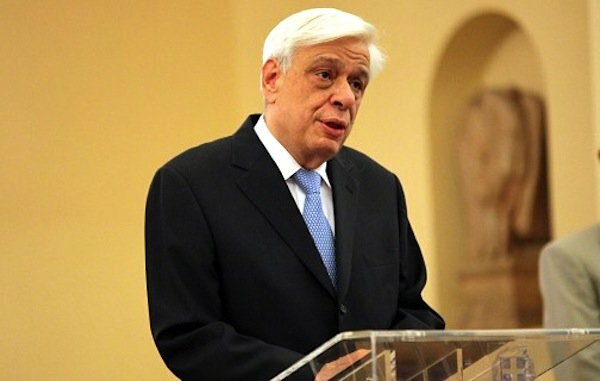 If European integration is not achieved the ensuing stagnation will lead to disintegration, President Prokopis Pavlopoulos said on Thursday in opening remarks at the Delphi Forum. “If European integration is not achieved, the ensuing stagnation leads deterministically to the risk of dissolution of the European Union, starting from the core, the eurozone. This is because the survival and overall perspective of the European Union and the eurozone depends not only on economic and monetary progress, but primarily on the strength of the institutions of the European edifice which, by their nature, are the only ones which can guarantee — beyond stability — the European integration itself, both as a target and as a process,” he said.